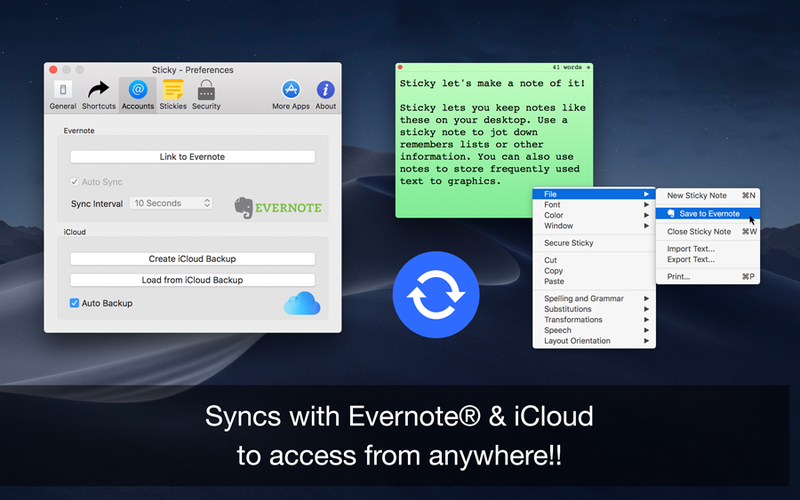 The Sticky Notes app uses your Evernote & iCloud space and to sync notes between Evernote account. 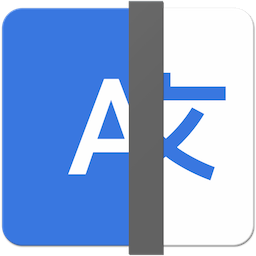 It cannot access your private files only those created by itself. 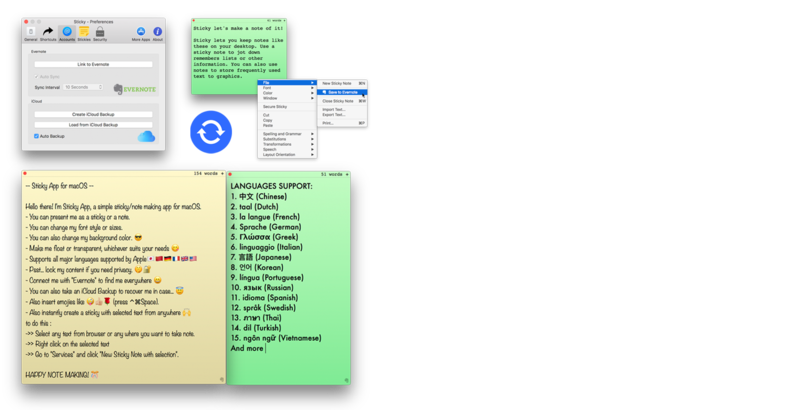 Import & Export notes online with one click, with easy & customizable sticky notes in different colors, feel free to move and resize your notes independently. 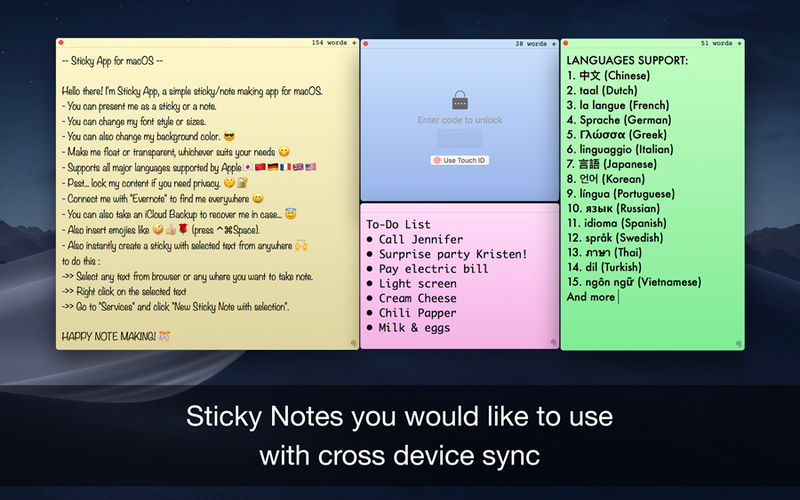 Supports multiple languages with text to speech recognition and can lock individual sticky notes with touch ID unlock. 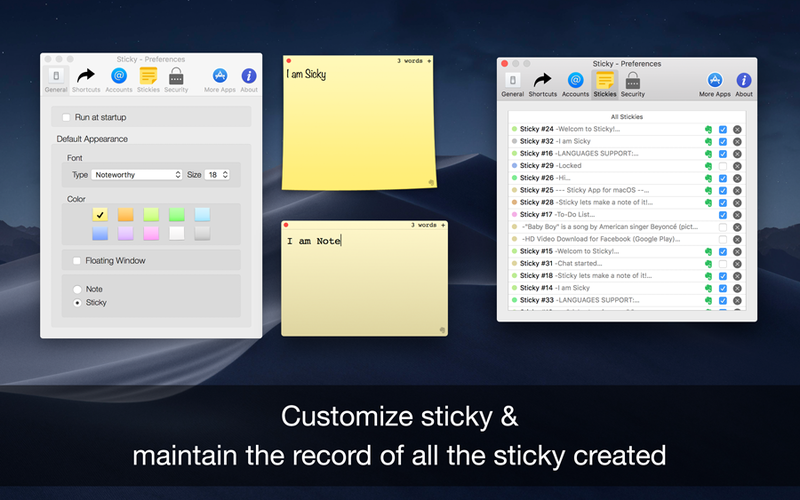 Sticky Notes use Official Evernote API to sync the sticky notes from and to Evernote account. 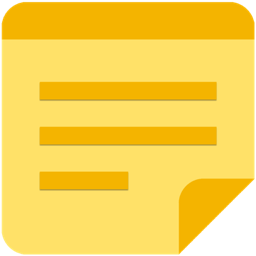 You're already part of our mailing list.